ElectionsOnline has long had productized integrations available for two leading Association Management Systems (AMS)—iMIS and netFORUM. Now, with the formation of a partnership between ElectionsOnline and Community Brands—the company that owns Abila, Aptify, YourMembership and NimbleUser—that integration capability extends to include: Aptify, YourMembership and NimbleAMS. 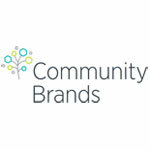 Community Brands can tell their own story at their About Us page better than I can, but briefly, they are the parent company of Abila, Aptify, NimbleUser, YourMembership, and others. While those four companies are leaders in the association market, Community Brands is also very well represented in the education and faith-based sectors. Because ElectionsOnline has specialized in serving associations and non-profits, this partnership will mean growth for the company in the education space in addition to further solidifying its reputation as the preferred election service provider among associations. The formation of this partnership does not make an integration magically appear on the market. It still must be built and as is always the case with these types of things, the effort of building it is only put forth when a client requests it. 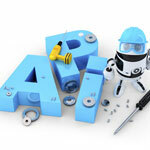 The partnership does raise awareness however that an election service exists with an API (Application Programming Interface) already in place to allow integration with all Community Brands solutions. Visitors to the Community Brands website will be able to use their locator service to quickly discover ElectionsOnline as a provider of integrated election services. This is an exciting development that will mean continued growth for ElectionsOnline and further solidification of its position in the market as the leading innovator of integrated election solutions. If your association uses any of the AMS system mentioned above—or even something different—please contact ElectionsOnline to learn more about the possibilities.